The thing that I can see would effect the outcome of not wanting broadband is due to the fact that the cost there is significantly more, about five times in the United States. This would drive anyone that is trying to prioritize their finances to push Internet into the background unless they need it for work or are giving up other items. 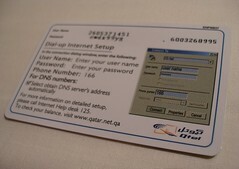 The Pew Internet research found that 62% of dial-up users had no interest in upgrading to a high-speed connection. The reasoning is that it’s not that infrastructure isn’t there. It’s the fact that it’s not profitable for the corporations to turn it on. And that’s plainly ridiculous. Why? Take a look around. Even most rural areas can establish satellite or cable connections these days. Television is an integral part of most American lives these days which is the medium that pretty much the majority of broadband comes from. The article points out that low-income and elderly are least likely to change out and that is with obvious reasons. Yet, my own nonprofit is working on a pilot project currently to prove that it is possible to bring better speeds to low-income households without increasing the cost. Obviously it’s a multi-community share, but it’s still a possibility that most broadband providers have not looked at since it’s a very minimal impact to their margins. The point of all of this? It’s not that people don’t want broadband. It’s the fact that current availability is costly (Time Warner here keeps pushing the cost up year after year by cents to dollars) and there isn’t a provider that is willing to give you lower capped speeds for a smaller monthly charge even though it’s possible to do. Believe me. Most people want more speed. I remember when I introduced high-speed Internet to my family since I needed it for work when I telecommuted. It was night and day, and once they saw the brilliance of more speed they never looked back. It’s just a matter of cost.